Subject: Plate : 'Un menage sans enfants.' 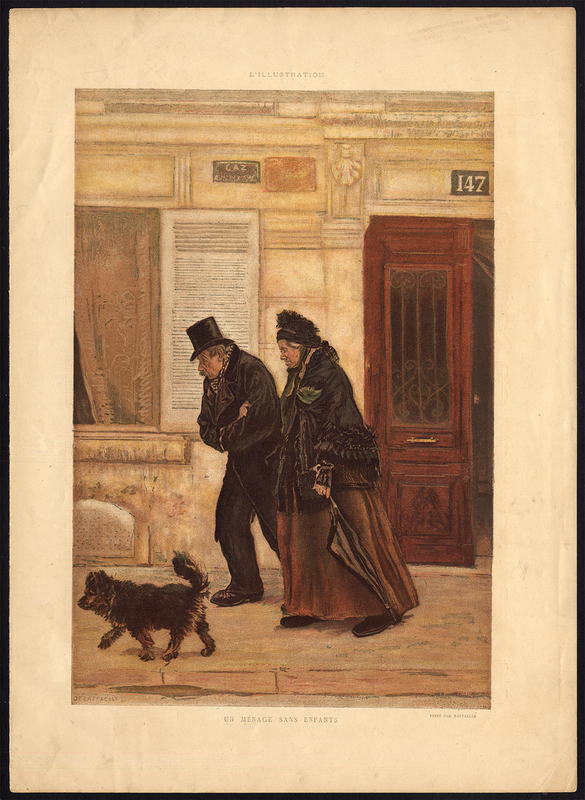 This plate shows a man, woman and dog walking in Paris late 19th century. Sheet music on verso. Condition: Good. General age-related toning and light staining/soiling from handling. Margins soiled and with some crinkles but overall good. Please study scan carefully.